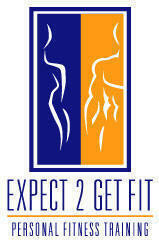 Hi I am Bennie a Personal Trainer in Punta Gorda, FL and the local areas. MFA has been in operation since September 2002 and has aided numerous clients with diverse backgrounds, a multitude of ailments, and a variety of fitness levels. Our training is second to none and we pride ourselves on positive results. (MFA) is a full-service fitness training company that combines flexibility training, strength training, cardio and inspired thought, which encompasses all phases of fitness; bringing the mind, body and spirit into complete harmony. MFA's service area covers Charlotte County, Lee County, Sarasota County and Collier County. We provide all necessary fitness equipment needed to craft a training environment rich in innovation and high expectations. We are competent in strength building, kick-boxing and aerobics. We have partnered with other health professionals in the area of physical therapy, chiropractic medicine, massage therapy among others. We offer all extended in the comforts of your home or location of choice. This type of service is offered at extremely competitive rates. You can enjoy in-home personal training for the same price as major health clubs. Our personal training packages come complete with a complimentary fitness evaluation ($75 value), strength training logs so that you can chart your performance, one before and after photo and a fitness tracking record that will illustrate your progress for a complete year (provided client agrees to 1 year of training). There are other options available that will enable us to customize a payment plan to fit your specific needs. No long-term commitments, you can cancel at anytime, nor do we debit your bank accounts. How advantageous is that? We offer group training packages for 2 or more as well as a family plan. Clients are not obligated to continue training and can opt out at anytime. Once you determine a time frame that you can workout (5am-9pm/ Mon.- Sat. ), MFA will maintain that schedule for the entire agreement unless the client needs variety in their training schedule. The Surgeon General among other health organization, recommends an exercise training regimen of at least 3 times a week. This recommendation can be accomplished without the use of a health club membership and in the comforts of your home. Let The MFA personal training be your gym away from the gym. MFA would welcome the opportunity to earn your trust and deliver you the best quality service in the industry. Please give an example of your fitness goals.